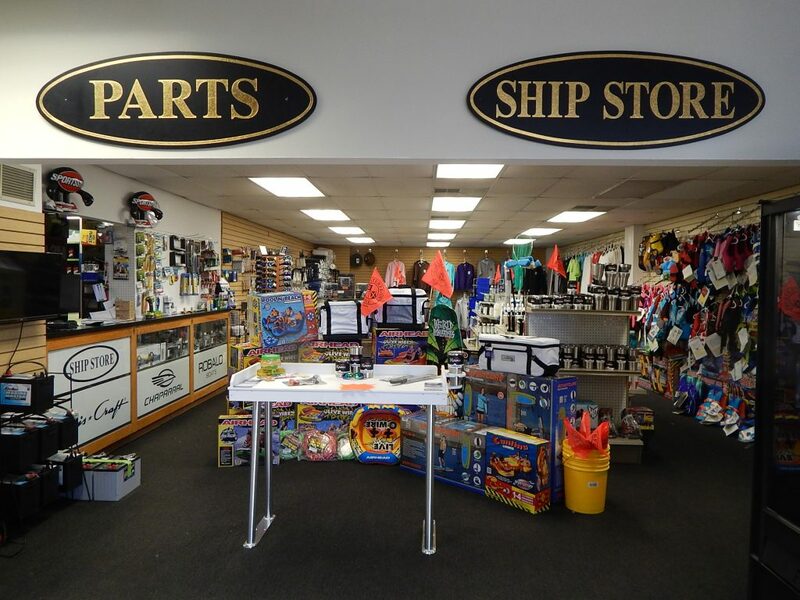 The Waterfront Marine Ship Store is a fully-stocked marine store that has all of your needs for boat parts and accessories. If we don’t have it in stock at our Marina, we can order it for next day delivery! Whether you need oils & lubricants for your boat, accessories for your boat trailer, your favorite boat wax or cleaner or even boating apparel, our boat dealer has everything you need! In addition, we are an official Garmin dealer and installer at our NJ location. Also, check out the fishing section in the store! There is a large variety of hooks, lures, rod holders, artificial bait, and more fishing parts and tools for your boat. If you can’t find what you are looking for, please see Danny. He can usually have it here the next day! When you’re not shopping for boat parts and accessories, browse our new and used boat inventory. Can’t find the right part and/or accessory? Contact us today for more information, or check out our service department.